You can cash out your OhmConnect points for an Amazon or Target gift card. The process is not the same for both kinds of gift cards. Target and Amazon gift cards are non-refundable and only available to users in the United States. 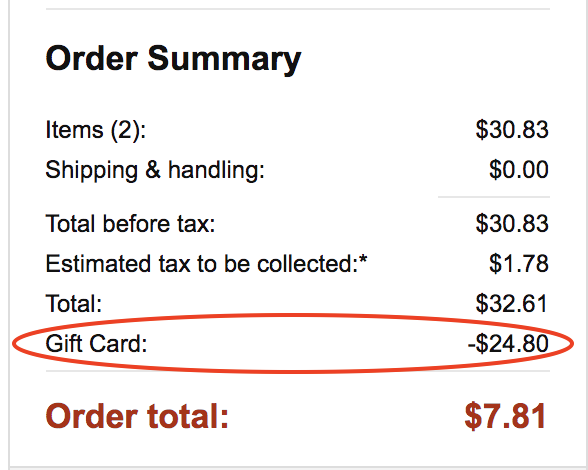 After you cash out for an Amazon gift card, you'll get an email from OhmConnect with your Amazon gift card promo code with the subject line "Here's Your Amazon Gift Card". It may take up to 10 minutes for this email to arrive in your inbox, and don't forget to check your spam or junk mail folders if you don't see the email right away, and check the Promotions and Social tabs in Gmail. Visit Amazon.com and put whatever you need into your cart. Enter your code (from the email) where it says "Add a gift card or promo code". Your total balance will be reduced by the amount of your gift card! 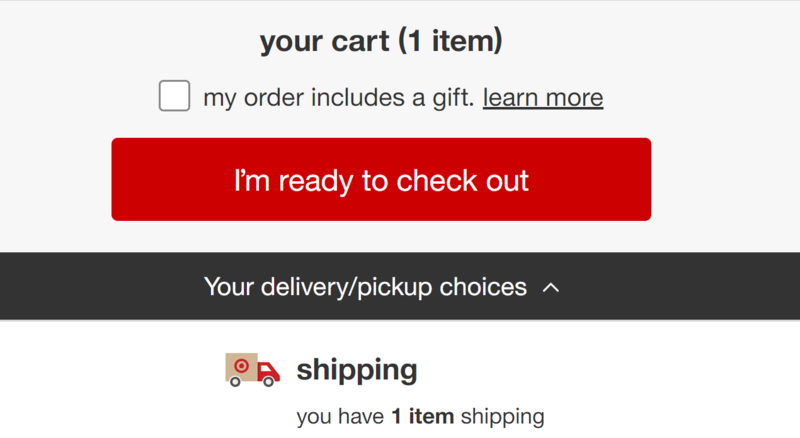 After you cash out for a Target gift card, you'll get an email with the the subject line "OhmConnect, Inc. Sent You a Target eGift Gift Card". Don't forget to check your spam or junk mail folders if you don't see the email right away. And in Gmail, check the Promotions and Social tabs. Click "claim gift card" in that email and you'll be taken to a page showing your Target gift card promo code. Head over to Target.com and do some shopping! Once you have your items in your card, click "I'm ready to check out". On step 3 of checkout, you'll see "payment". Here, click "apply a Target gift card". 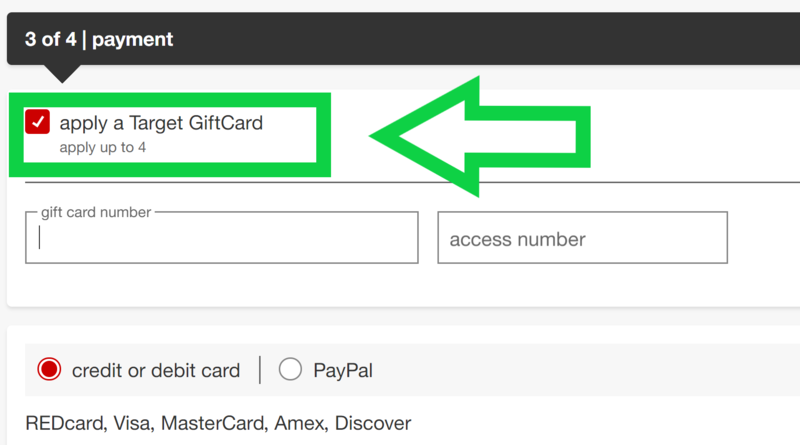 Enter the "Gift Card Number" and the "Access number" from your gift card email. If you have a remaining balance, use a credit/debit card to pay for the rest.